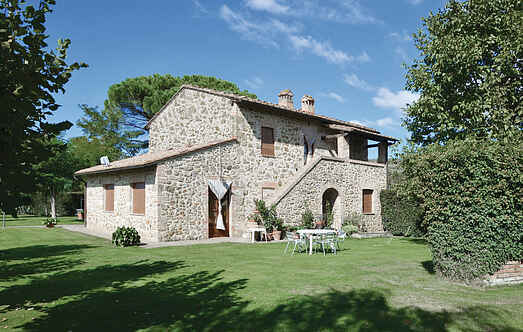 Find a vacation home to rent in Poggibonsi from our list of vacation rental properties. Campaya has over 20 vacation homes available in Poggibonsi, which give you the possibility to locate a unique accommodation in Poggibonsi which completes your check-list in search for the perfect self catering vacation apartments in Poggibonsi or vacation villas in Poggibonsi. This charming and characteristic ground-floor apartment (62 m²) is part of a former convent set on the gentle hills typical of the Chianti region, rich in olive groves and vineyards. Small cottage amidst the olive trees and vineyards on a beautiful hill just east of San Gimignano. Peaceful position with pleasant views of the countryside. This cosy holiday home is nestled in a former barn, just 3 km from Poggibonsi.